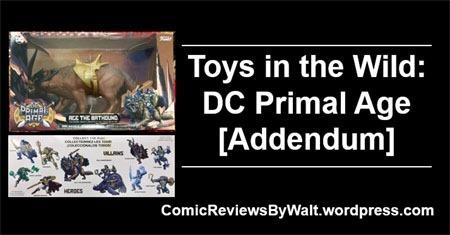 I posted the other day about the DC Primal Age toys from Funko. Of all the characters, The Joker is the one who gets a "ride" or in this case, I guess more of a "mount." In visiting a different Target, I spotted an unfamiliar toy and looked closer! 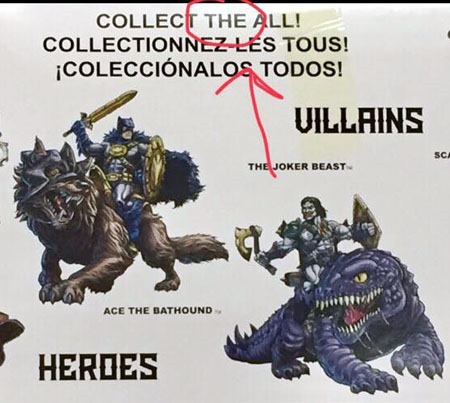 Apparently the Joker Beast is the "bad guys’ mount" while the "good guys" get Ace the Bathound. Seems I neglected to look at the back of the box for the Joker Beast, or I’d’ve realized there was one figure I had not seen! 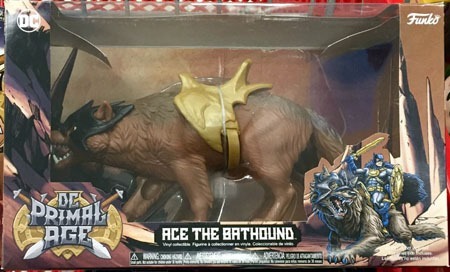 The back of the Ace the Bathound box shows the eight "solo" figures as well as Ace and Joker Beast (though the art shows the mounts with their riders, the riders do NOT come with the mounts!). If there are more than the eight figures, two mounts, and Batcave in terms of the toys, I’m presently unaware. And while I’d really like a Superman for this line…if he’s some sort of "exclusive" ANYwhere (convention or otherwise) that will–to me–be a HUGE red slash AGAINST Funko and this line as a whole! There’s also a fun little bit that apparently got past whoever approved the box-art/design for print. "Collect the all!"? As opposed to "Collect them all!" 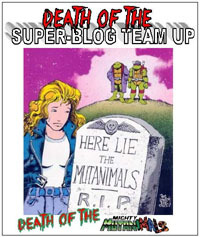 So hey, if this was Bleeding Cool and not a personal blog, I’d urge you to snap these up while you can as–if the mistake is caught for any later waves/printings, these could be "collectors’ items!" (albeit a ridiculously stupid thing to differentiate or make something such).